Today's guest post comes from one of my real life besties, West from Confessions of a Blog Vixen. The ultimate quest of any mani-pedi-loving diva is one which lasts. For most, it simply does not happen, hence the invention of gel polish and minx nails. 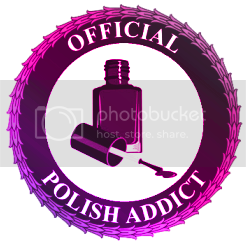 Personally, my polish never makes it past day two without a blemish. Chips on chips on chips! Half of any one nail would practically be bare by the end of day two lol. I've tried every base coat, top coat, middle coat -- anything you can think of. #NoBueno. Lately, my nails have been looking just a wee-bit dull and I figured I'd buff and shine these bad boys during my next mani-pedi. I stopped by Ulta a picked up Revlon's Crazy Shine. The name of this buffer is right on the money! Anywho, I buff n' shined, groomed, and then painted my nails as usual. Base coat. Polish color. Top coat. A few days later I noticed my polish was still in tact! No chips? What? No way! The next week I polished again. Same process. This time I switched my top coat from Out the Door to the God forbidden but totally awesome Seche Vite. Again, my polish lasted the entire week. The third go 'round I figured I'd document and share because, hey, I think I've just solved the 8th wonder of the world! The pic below is what my nails looked like on the 4th day. There is noticeable tip wear (which is probably shrinkage from the Seche Vite) and some peeling of the striping tape, but no major chips! I'm not going to pretend to understand the science of this all, but maybe you do! Thanks so much for the guest post bestie! I've never really buffed in preparation for a mani, but I'll have to try it out. By the way...that striping tape looks familiar...I love it! West blogs about natural hair, fashion, and beauty, so be sure to check out her blog. ooohhh, might have to pick up a crazy shine myself!!! Is it just like a normal buffer, only in a teardrop shape or is it made of different materials? That looks great! I never buff, just because I'm too lazy and I change my polish too often also. I might start doing so now. And SV, that baby is so awesome!!! I don't think I'll ever give that top coat up. Hi Mikki. I think any buffer will do. The tear-shaped one just happens to be all they had at Ulta at the time. Thanks for the post doll! I'll try this before I change my nails...not that I ever keep polish on long enough to know if it will make a difference. I used to use SV...now I'm a huge Nubar Diamont fan. I like it even more. Mikki, let us know if you give it a try! This does work long as the rest of your body in in sync. I have been doing this and superior upkeep on the nail strengthening/hydrating process and went through 10 months of great nails - no pealing, no thinning, no breakage. Then I hit the skids on health issues, have off/on major flairs with chronic medical issue as well as some new ones tossed into the heap...well like hair & skin - nails show that sort of stuff. No matter that I keep strengthening/hydrating - nada. I know this helps - but I need over all good health (or better than it is) to get my fingernails. So cherish good health all of you who have it and don't take it forgranted. Drink the water you should have and then some. I cannot wait to hit a stride where my nails can handle 'chemicals' in polish. My bottles in my stash are lonely as my pedis I can keep up with now, but I only need to change that out every 2-3 weeks. Very good points. Healthy nails start with what we put into our bodies.